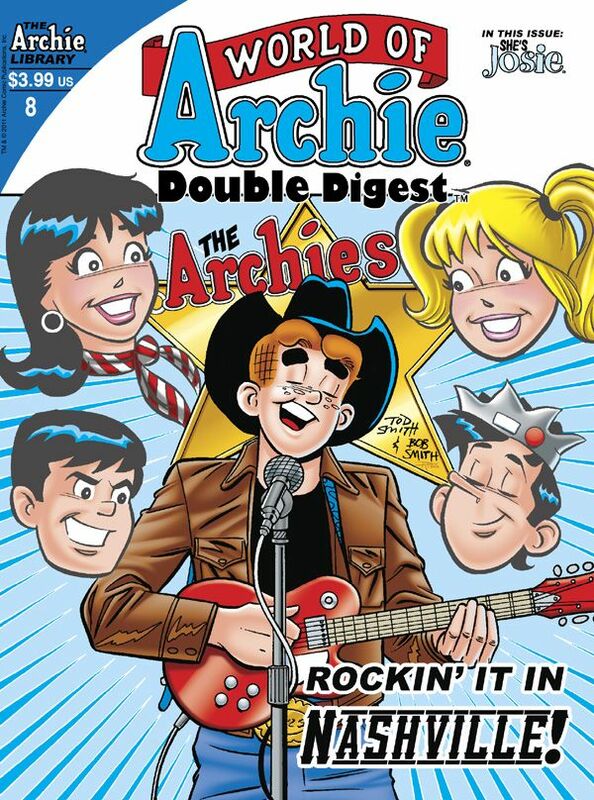 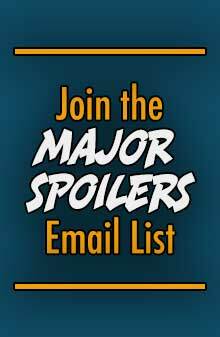 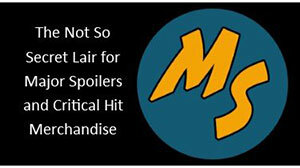 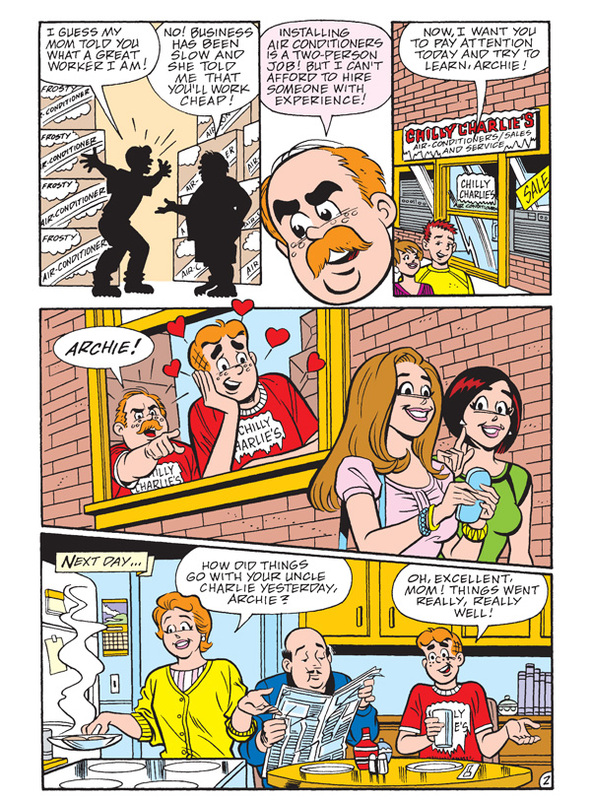 Archie Comics sent Major Spoilers a sneak peek of Archie Double Digest #8 that you can check out, after the jump. 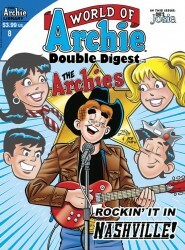 Yeeee-Haw! 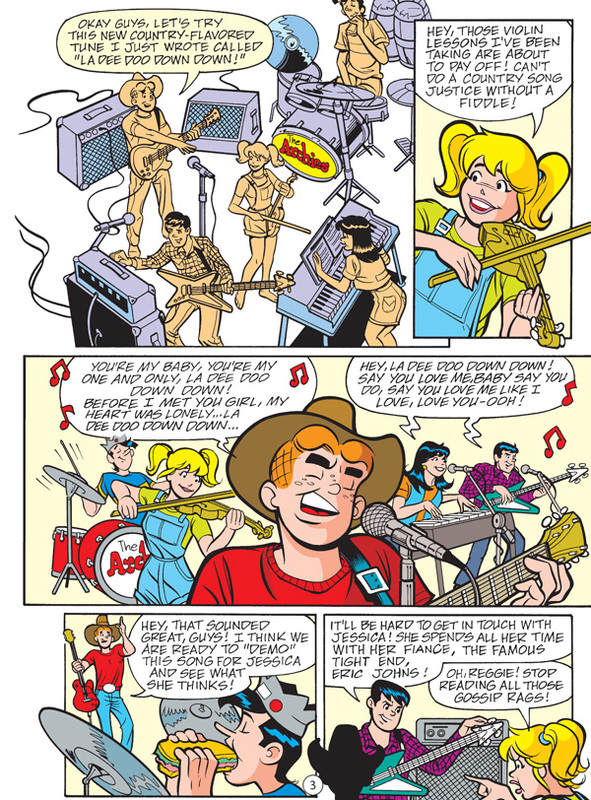 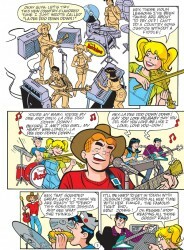 In “The Archies In Nashville,” the band travel to the Country Music Capital to try their hand at a different style of music. 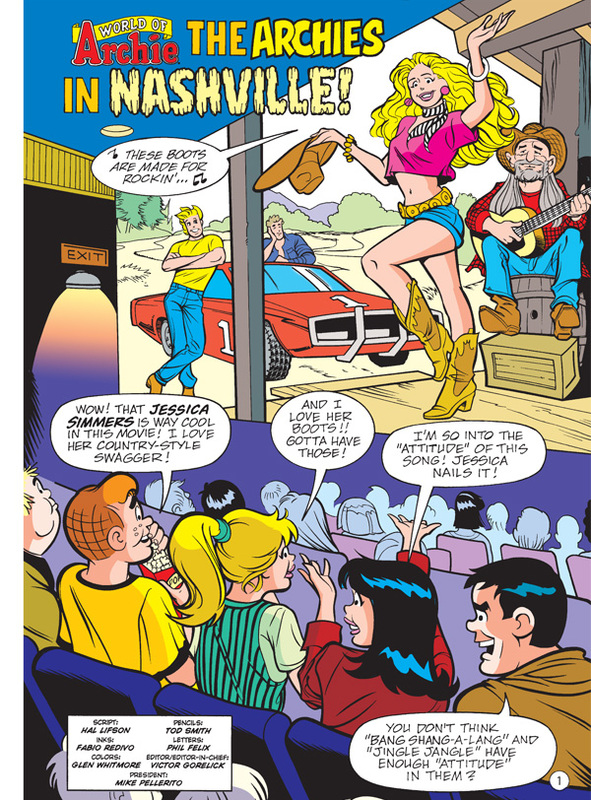 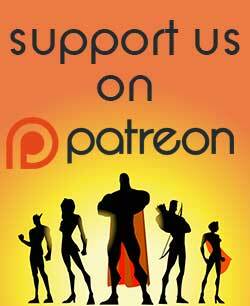 With the help of superstar Jessica Simmers, the only way for them to go is up! 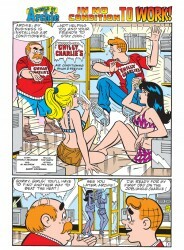 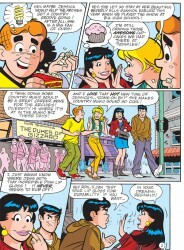 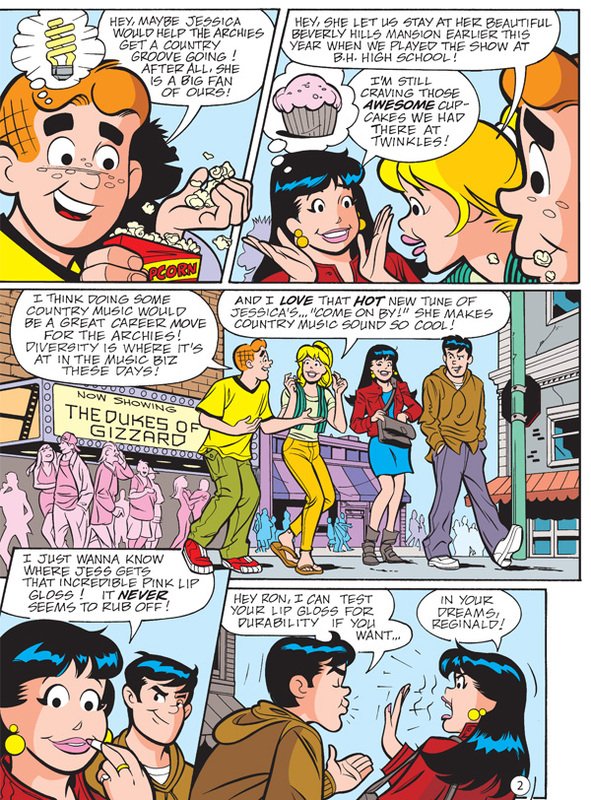 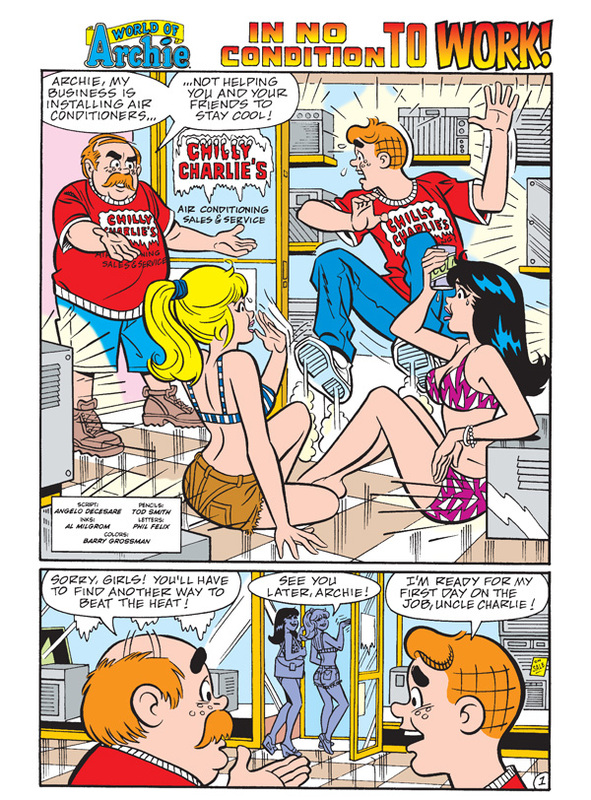 Then, in “In No Condition To Work,” not even working for an air conditioning company can cool off Archie’s love of the ladies.